The new video capture constraints API allows you to specify "constraints" when capturing videos. Last week Steve committed the final piece of the rich push notification support RFE. This commit introduces support for replies in push messages. This came too late for the whatsapp clone but if you want to build an app of this type you would need this feature. A while back Steve wrote about auto-renewing subscriptions and I recently got a chance to implement such a subscription in an app. However, it seems that all the changes in the world of in-app purchase created a situation where API's work in some cases and don't work for all of them. Steve just implemented one of the harder RFE's we had in a while. It isn't finished but we can already try some of these features and you should be able to try some of these rich types of push messages. I've been so busy with the book I completely missed a lot of things I should have blogged about and one such thing is the NativeLogsReader cn1lib which has been in the extension manager for a while now. We have several online videos (both in the course and outside of it) covering native interfaces. So why do we need another one? When we introduced support for z-ordering of peer components in Codename One we listed two major targets. The first was already available: Map. The second was still pending: Camera. Our current `Capture` API is very high level and removes a lot of the control from the developer. In order to give developers a high level of control we created Camera Kit. A while back Google announced that starting in August 2018 they will no longer accept applications targeting API levels below 26. With that in mind we plan to migrate our builds to use API level 27 which brings with it a lot of great new features but will probably break some things as we go through the migration. Please read this post carefully, I'll try to cover everything. I promised 2 new course modules for February and just published the second one. In case you don't recall I discussed the first one here and it covered building Codename One applications from the open source code. This new module goes through seven lessons that cover everything you need to know when building a performant app. It covers everything from generic performance tips/analysis all the way to profiling and a case study. You can check out the full module in the Deep Dive into Mobile Programming course in the academy. I promised 2 new course modules for February and just published the first one. It covers the process of building a Codename One app from the Codename One source code. The whole process is done without using the Codename One plugin or build servers. It uses only open source project code to deliver iOS/Android & desktop binaries! You can check out the full module in the Deep Dive into Mobile Programming course in the academy. Device only bugs are the worse. You need to go through a device build and reproduce/rinse/repeat. Thankfully these bugs are rare but sometimes they just hit you smack in the face. One such problem occurred when I was debugging a transition on Android related to a login form. I would move between a Form where I had the keyboard open to one where it was closed. This created a nasty effect where the keyboard folded leaving a black space and the transition played out about that black space. 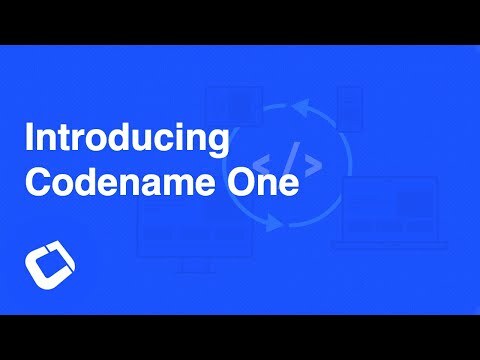 Offline build is a pretty complex topic which is why we opted for the online build process in Codename One. It allows for simple install/build and doesn't require a Mac. However, if you work for a bank or a government agency using a cloud solution is sometimes an insurmountable roadblock. That's why we introduced the offline build option to replace our old private cloud option. The new video is relatively short and simple as the feature isn't very complex, I hope to produce several more of these and bolster the video section further. I redid the include source tutorial which was really old by now and included some outdated "facts" while missing key information. Include source allows us to get the native OS project source code on build, this allows us to debug and profile on the devices. I haven't blogged as much in the past month and as a result I have a big pile of updates from all over. This is going to be a big list so I'll start with a few pull requests that were submitted by Diamond and Durank. If you see something broken or something that could be better in Codename One just fix it like they did! Our original How Do I video covering native interfaces was pretty old by now and needed a serious refresh. I created a new one that goes into a lot of the details although can't go as deep as the subject matter is pretty huge to begin with. Push gets a lot of support queries, it's a hard subject to wrap your head around especially with all of the conflicting and shifting landscape around it. To make matters worse every OS conceptualizes it very differently. I go into some of the really advanced stuff such as fallback behavior in the advanced course but basic stuff is still a crucial first step. Fingerprint scanners are pretty common in modern hardware both from Apple and some Android vendors. The problem is that the iOS and Android API's for accessing them are a world apart. However, it's possible to find some low level common ground which is exactly what our cn1lib for fingerprint scanning accomplished. As part of the bootcamp we wrote a couple of cn1libs and the first one is the Braintree cn1lib which allows us to do credit card payments within an app. If you aren't familiar with Braintree it's a PayPal company that provides payment integration for mobile devices. The bootcamp is winding down and I'm finally back to our usual scheduled posts. I'd like to open with a common practice that isn't nearly documented enough: use the native main/EDT threads. Our EDT serves many purposes but one of it's biggest roles is portability. By having an EDT we get consistent behavior across platforms. We use intercom.io for our website support system you can see it as the chat button on the bottom right of the page. The true value of this tool is in it's ability to deliver a unified interface everywhere, normally this stretches into native mobile apps as well. As a result we decided to port the native intercom device API to Codename One so it will be easy to deploy everywhere. Continuing our security trend from the past month we have a couple of new features for Android security that allow us to block the user from taking a screenshot or copying & pasting data from fields. Notice that these features might fail on jailbroken devices so you might want to check for jailbreak/rooting first. When Android launched RSA1024 with SHA1 was considered strong enough for the foreseeable future, this hasn't changed completely but the recommendation today is to use stronger cyphers for signing & encrypting as those can be compromised. Auto-renewable subscriptions provide, arguably, an easier path to recurring revenue than non-renewable subscriptions because all of the subscription stuff is handled by the app store. You defer almost entirely to the app store (iTunes for iOS, and Play for Android) for billing and management. Non-renewable subscriptions are really the same as consumable products, except that they are shareable across all of a user's devices. Auto-renewable subscriptions, on the other hand, will continue as long as the user doesn't cancel it. They will be re-billed automatically by the appropriate app-store when the chosen period expires, and all management of the subscription is handled by the the app-store itself. In-app purchase is ahelpful tool for making app development profitable. Codename One has supported in-app purchases of consumable and non-consumable products on Android and iOS for some time now, and with the next update we are adding support for subscriptions. For such a seemingly simple task, in-app purchase involves a lot of moving parts - especially when it comes to subscriptions. Google Play Services is a proprietary set of tools that Google licenses to vendors under limited conditions. In recent years more and more features go into Google Play Services making it harder to build an app without it. Tutorials & Resources - Learn Java on Mobile videos courses for iOS, Android etc. There are many Codename One resources for building native mobile apps but they are often all over the place, in this blog post I'll try to concentrate the best resources for people who already know Java and are looking to pick up Codename One. If you don't know Java yet please check out this post where we discuss resources for beginners to Java. A few years back I wrote an article for O`Reilly covering the advantages of cross platform over native OS code. Almost 3 years have passed and a lot has changed in our industry so I wanted to re-examine how this impacts my perspective on cross platform vs. native. If you relied on the android.newPeer build hint it will no longer be available starting with this update. When you build for 3.5 you will still get the old behavior if you define that hint but otherwise it will be ignored. This is a precursor step to merging the newPeer branch into the main branch. It's an important step to help us move forward with one code base! Starting with the next Friday release we will migrate to the new peer support. This migration will allow us to focus on a single code base and remove the branch where we are maintaining the old peer support. We finished the final major piece of the offline build offering that we announced in July! This Sunday we will update the plugins to include this ability as an option. Once installed you can use the instructions below to install the offline build service. As we mentioned recently we have a new idea on how peering can be improved and we just deployed a this into our build servers in the weekend update. This is highly experimental and might crash instantly which is why we hope you give it a test drive and see how it feels before we switch it on by default. I blogged about peer components all the way back in 2014 trying to explain basic facts about their limitations/behaviors. A lot of those limitations are inherent but over the past year or so we've been thinking more and more about the z-order limitation. A common issue we get from developers relates to minor differences between devices which are often very hard to quantify. They are also very hard to explain to the developers in some occasions. One of the biggest points of difficulty is density which is a very hard concept to grasp and it's often hard to know which image will be used from the set of multi images or how many pixels will be used for 1 millimeter. Debugging Codename One apps on iOS devices has been documented well with a video for years, we didn't spend too much time outlining the Android counterpart mostly because we didn't really use it as much and it was far simpler. Bluetooth is one of those specs that makes me take a step back... It's nuanced, complex and multi-layered. That isn't necessarily bad, it solves a remarkably hard problem. Unfortunately when people say the words "bluetooth support" it's rare to find two people who actually mean the same thing! We're all pretty jaded when it comes to software but when I first saw yHomework I was completely floored by it! Where was this tool when I was in junior high? If you haven't seen yHomework in action I suggest you give it a try right now on your Android or iOS device. We talked about the new Android 6 (Marshmallow) permissions in Codename One last week and so far we've been pretty happy with the result. We had some build regressions on the older Ant based build path but those were fixed shortly after and it's been smooth sailing since then. As part of the transition to the new permissions system we added two features to the simulator and the AndroidNativeUtil class. Pumpop is a social networking app in the spirit of tinder that is available globally and installed on many devices all over the world. One of its major draws is it's portability which will soon extend to Windows Phone as well. Up until Marshmallow (version 6) Android used a rather obtuse permission system that very few end users understood. With API level 23 (Marshmallow) Android finally shifted to a structure that makes more sense similarly to iOS. Marshmallow asks a users permission the first time an API is used e.g. when accessing contacts the user will receive a prompt whether to allow contacts access. The jat app is very similar to whatsapp in some regards but is more oriented towards group communication than SMS replacement. Over the past couple of weeks we picked it up as a great communication tool in our team. It uses push notifications to notify and activates accounts via SMS. This makes it very convenient for someone like myself who moves between devices constantly. As part of our continuing effort to squash bugs for the 3.4 release date we hit two major issues, the first of which is a long time RFE to fix PDF viewing on iOS and Android to work consistently. This also applies to any file opening in iOS/Android which should now be trivial with the Display.execute method. Just use that method on any file within your home directory in FileSystemStorage and it should launch the native app to view that file. 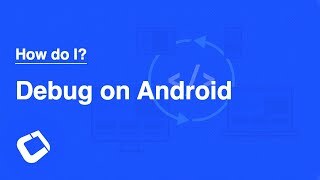 Why we Don&apos;t Import Android Native Code? When we first started to present Codename One to investors a very prominent local investor said he'd commit to a round of funding if we allow Android developers to import native Android apps to Codename One. We passed on that which in retrospect might have been a mistake but the technical challenges were the main reason for that decision. Starting with the next update of Codename One (later this week) we will switch Toolbar on as the default for all newly created projects. This doesn't mean much for most of us as existing projects won't be affected, however if you are creating a new project this means you won't need to create a Toolbar for every Form and that we won't have to deal with as many issues related to the native Android title. I've been remarkably busy working on issues and documentation so I neglected an important announcement I had to make. Over the weekend we flipped the default build from gradle back to ant. So effectively if you don't set any build hint the behavior will be android.gradle false which should work fine for most of you. This is temporary but we felt it was necessary as a stopgap measure. We became infatuated with icon fonts a while back and used them quite a bit, recently we added the FontImage class that made them really easy to use. However, up until now you had to download a font. Look up the value and enter it in. This was OK but not ideal in terms of syntax/availability especially for simpler apps. Today we dealt with some push messages overloading our servers, some of the apps developed in Codename One are remarkably successful and as a result our push servers got bogged down. To mitigate that and prevent service interruptions we moved all push activity to the new servers, this effectively means that a push operation on the old servers will map to the new servers seamlessly. This also means that we no longer support the null push target even for the old push servers. Its just too expensive to support on scale of 150M+ devices. Chen was working with a customer that needed some specific ad network support and decided to open source some of that work. We now have integration with Flurry both for its ads and analytics support both of which are pretty cool and have some distinct advantages over the current Google equivalents.